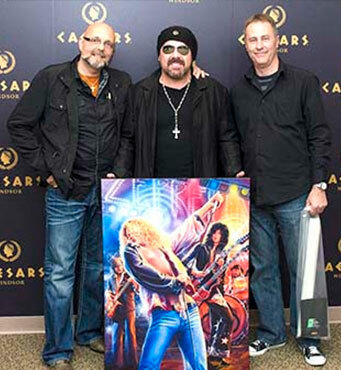 I got a chance to meet with Jason Bonham, the drummer for Led Zeppelin, at the Led Zeppelin Experience concert. We were sitting so close to the stage. Meeting Jason with me is my friend Marc Levesque who remarked how cool it was to meet him. 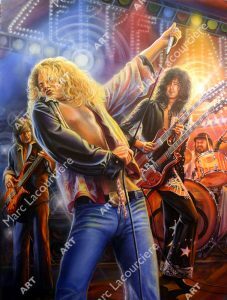 Jason noted that he was going to forward the print to fellow band mates Robert Plant, Jimmy Page and John Paul Jones.